Organised from September 14- 21 by the Tennis Academy Amman (TTA) Jordan's leading tennis training institute, in collaboration with Markazia Lexus, TTA held a press conference on Wednesday announcing the festival which will feature local tournaments open to all age groups, High School Music and Telematch competitions, and a Family Tennis Day hosted by Mouratoglou. 'I am very excited to come to Jordan to participate in the festival. It is an opportunity for me to discover this beautiful country and spend time with the kids and share with them my passion for the game of Tennis,' Mouratoglou said in a statement made available to the media. Mouratoglou has devoted his career to help athletes accomplish their goals and coached several players to the world's top ten, including Grigor Dimitrov and Marcos Baghdatis. He is currently mentoring Stefaons Tsitsipas who is ranked No. 15 in the world and is considered the youngest player ranked in the top 20 by ATP. 'It is with this understanding and the continued support of our partners, our sponsors and our players, that we have worked to build long-lasting partnerships with the best coaches, academies and players in the world so that when the time comes, we can lean on their wealth of expertise to take our players to the highest levels of the game,' said Academy founder and Director Khalid Naffa. 'In that spirit, we are thrilled to welcome Mr Mouratoglou, to Jordan, to the academy, and to the festival!' Naffa added. 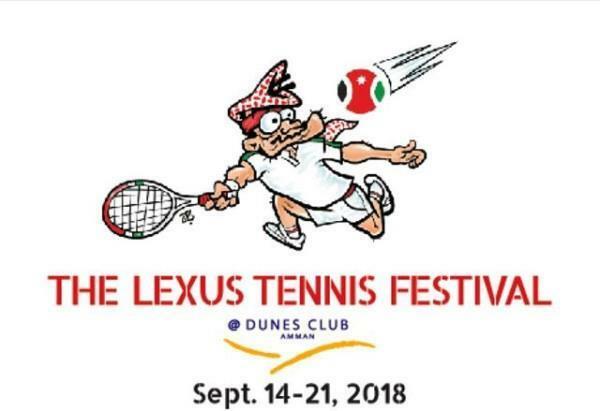 'We see our partnership with the Tennis Academy Amman as an opportunity to connect with tennis fans in Jordan. This association will allow us to play an important role by bringing fans of tennis closer to what they love and to create unique opportunities and experiences with tennis legends and athletes. Together, we will help develop and nurture the necessary skills needed to turn young players into world-class athletes,' said Sultan Al Riyami, manager to Jordan and West Bank for Emirates Airline.